At Cubify we are joining in the celebrations as well. We just launched a brand new super cool app called Cubify Bugdroids which lets you create your own custom Android figurine and get it 3D printed and shipped to you anywhere in the world using Cubify’s Cloud 3D Print service. Here are some examples of what is possible with the app. 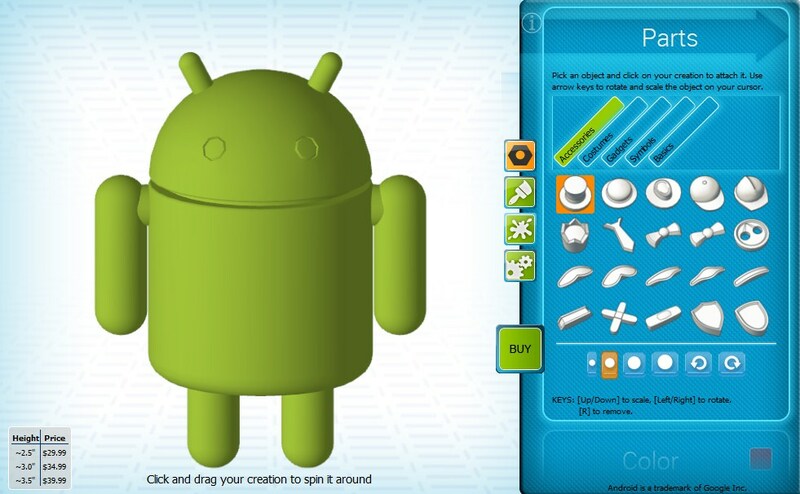 You basically start with a cute little Android and click away to make him totally awesome.